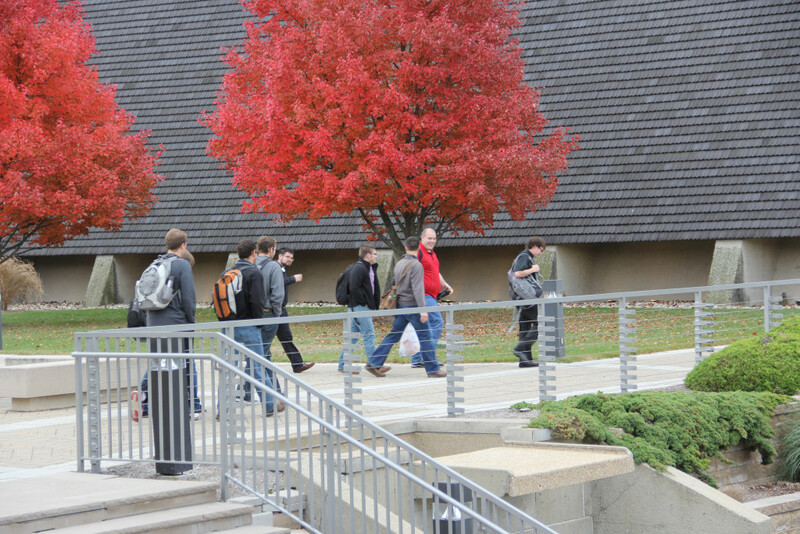 CTSFW is located on 191 acres of land with the design of the campus crafted by the world renowned architect Eero Saarinen. The inspiration for the village concept came from research done by Glen Paulson on villages in northern Germany. Several were studied, but one was chosen for its rooflines all running in the same direction. 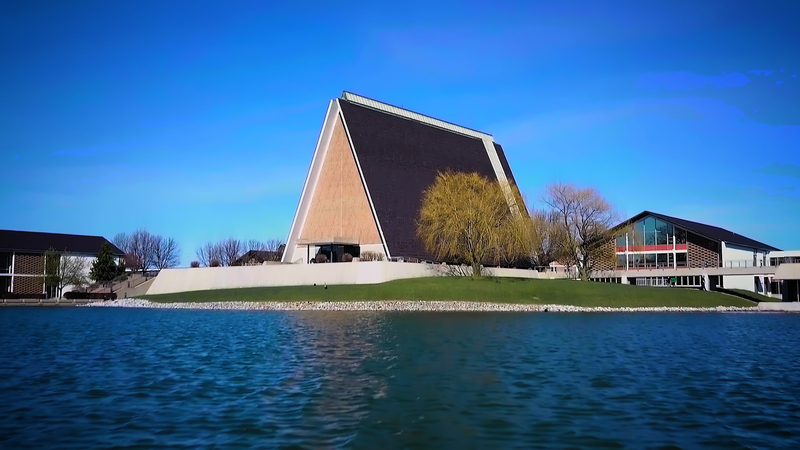 Nestled between North Clinton Street and the Saint Joseph River on Fort Wayne’s north side, the campus provides the perfect combination of nearby amenities with secluded peace. The naturally flowing layout of the campus, combined with the meaning layered into every aspect of its design, makes it a wonderful place to immerse yourself in theological conversation, study and reflection. The interlocking tiles that form the roof of CTSFW’s buildings are uniquely designed for the campus. Drawing to mind the Scandinavian traditional stave church, the clay tiles interlock to provide a visually interesting barrier to the elements throughout the seasons. That’s the number of architectural curves on campus. The first (and only original) is on the top of the canopy at the entrance to Kramer Chapel. The second is on the lower level of the Wayne and Barbara Kroemer Library Complex and provides a smooth flow from the services area into the study and stack areas. The Kramer Chapel curve was designed to follow the arc of a pendulum. It expresses the force of the weight of the Chapel above. That’s how many small triangles are on the back wall of Kramer Chapel. That’s one for every hour of the week, which encompasses our whole lives. It’s a great idea to think that way, the truth is the number of triangles was not designed that way. The distinctive diamond brick is used horizontally in every building on the main campus except the Chapel, which has a vertical pattern, and the gymnasium, which was built with traditional brick to save money. 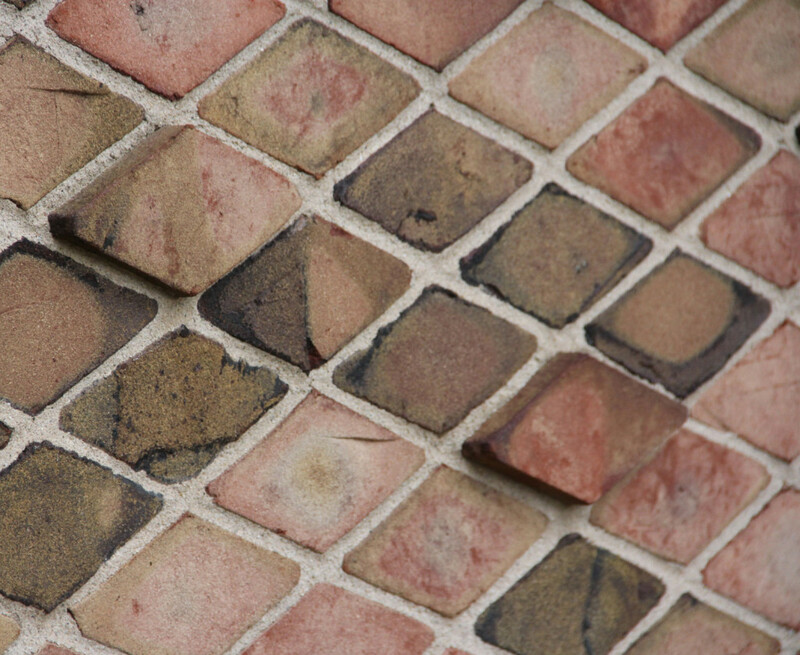 The horizontal orientation of the brick reminds us of the relationships we share as brothers and sisters in Christ. We love each other because God has first loved us. 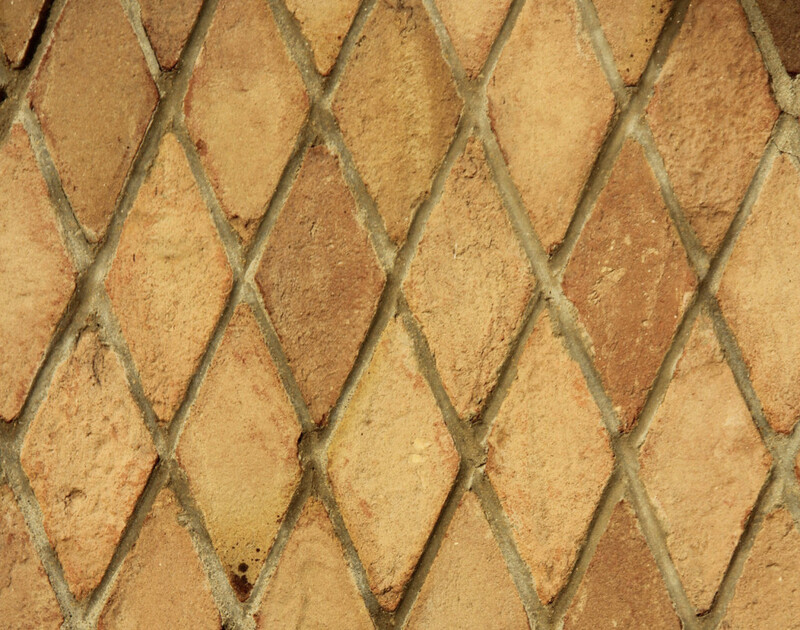 Only in the Chapel will you find the diamond shaped bricks laid in a vertical fashion. 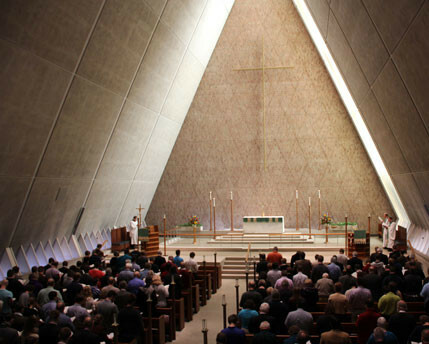 Mr. Saarinen chose this pattern as an intentional way to dramatically set apart the Chapel as the focal and most significant structure on the campus. Nevertheless, it does remind us that the Chapel is the place in which our God reaches down to us time and again to reaffirm His love for us. That’s the building block of campus. Every building is designed around 5 foot, 4 inch modules, giving a natural flow and symmetry to the diverse pieces of campus. Interestingly, this wasn’t originally part of the vision for campus, but was discovered by Glen Paulson, the local architectual lead for the original construction. By constructing the campus around that building block, Paulson and Saarinen have given us a campus without boundaries, where separate buildings form a unified, flowing whole. Interested in learning more? This book contains a wealth of information on all aspects of CTSFW’s campus.